The element of Water is called chu in Tibetan. It is symbolized by the shape of a circle and its color is blue. The unique vibration of this element is the sound ‘MANG’. It is associated with the direction South. In general, Water provides joy and comfort. Environmentally, our dependence upon the element of Water is evidenced by the value placed upon its ‘ownership’ by principalities and governments. Civilizations have been founded upon the availability of water for agriculture, travel, trade and fishing. Dependent upon this resource for the health of their citizens as well as their commerce, civilizations have also fallen when access to water became restricted for various reasons. In the Yungdrung Bön tradition, it is believed that one of the spirits who live in water is called lu, also referred to as naga. These lu also live in trees and rocks, but are primarily associated with water. Frogs and many other water inhabitants are thought to be used by the lu as their domestic animals. The lu realm and the human realm are thought to be in continuous relationship with one another. In ancient times, accomplished lamas, as well as the Buddha himself, taught the sacred teachings to the lu. Therefore, among this group of beings, there are followers of the Buddha who act to protect the teachings. However, just like any group of beings, there are those among the lu who have less compassion and patience with the actions of humanity that cause damage and destruction to their environment. Because of this, there are rituals and prayers specifically for apologizing to the lu, purifying the damage that we have caused, and thereby pacifying their grievances against us. Within our bodies, the element of Water rules our blood. More specifically, it is associated with the kidneys. When the element of Water is balanced within us, we feel comfort with ourselves, happy and contented with our life. Our emotions are balanced and there is joy in our spiritual practice rather than it being a dry, intellectual exercise. If Water is in excess, we can be lost in our comfort and lack the energy to be productive. We can become too fixated on pleasure and enjoyment. Or we can be lost in our emotions, making our decisions based solely upon the ebb and flow of our moods. To the extreme, we spend the day either weeping or laughing. If the Water element has become weakened, we are uncomfortable with ourselves and others. We do not feel content or happy with whatever is happening around us. We constantly feel unsatisfied. In order to bring the element of Water back into balance, there are methods such as Tibetan medicine, ritual and meditation practices. There are specific yogic exercises within the Yungdrung Bön tradition which use the focus of the mind together with the breath and movement of the physical body to balance and strengthen the elements within us. To learn more about these yogic exercises see Healing with Form, Energy and Light by Tenzin Wangyal Rinpoche. Additionally, if the Water element has become weakened, we can spend time near a river, stream or ocean and focus upon experiencing the feeling of the water in the body and energy. Literally, drink more water. But do so with the awareness that this is restoring strength to your Water element. Practice being more generous with your time and with your possessions. Take advantage of opportunities in which you can offer even a little kindness to those with whom you come into contact. If the Water element is in excess, focus less on your own comfort and focus more upon improving the comfort of others who are less fortunate or who have less capacity to do this for themselves. When the element of Water is balanced within us, we can maintain joyful effort in our daily activities and feel happiness, satisfaction and gratitude in our lives. 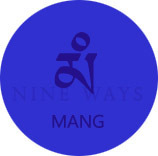 Posted on June 23, 2013, in Five Elements, Uncategorized, Yungdrung Bon Sacred Symbols and tagged Asian studies, five elements, healing, spirituality, tibet, Tibetan culture, yungdrung bon. Bookmark the permalink. Leave a comment.